Surf through the guide by selecting the date you want to see. All you need to do is press and hold down right key when you are on TV guide. 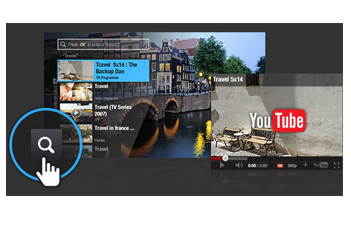 When you want to view more information, highlight the programme you want to view then select OK.
Look for the play icon! 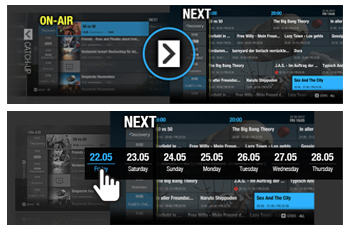 Whatever you have recorded is available on catch up server from Backward EPG. You can play direct from the guide. If you want to find a programme, simply press the search button. To list up related programmes, enter a keyword. 4tune will show you all programmes related to the keyword.